With our GO FUND ME DRIVE (https://www.gofundme.com/movementsunlimited)we are able to raise money to have people start as Travel Interns and become part-time Travel Agents for those that want to in 90 days this program is great for College Students, High school Juniors or Seniors, or stay at home moms and senior citizens. We're planning our line-up of travel excursions for 2018 and need more Certified Travel Specialists to help us carry out our mission to bring people fun and exciting group trips. Some of our travel destinations include: Cuba, Puerto Rico, Dominican Republic, Jamaica, Bahamas, South Africa, Ghana and more. 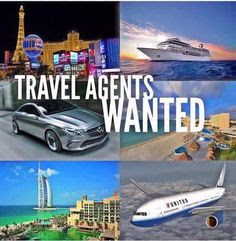 Travel Specialists can earn travel perks, travel free, earn money, have a lot of fun, and more. No experience needed. We are willing to train the right people. Customers save 85% to 90% of the time! Schedule 1 coaching call a week with Baba Jahi & be on our weekly intern team call.